How do I know if a conviction is spent or unspent? 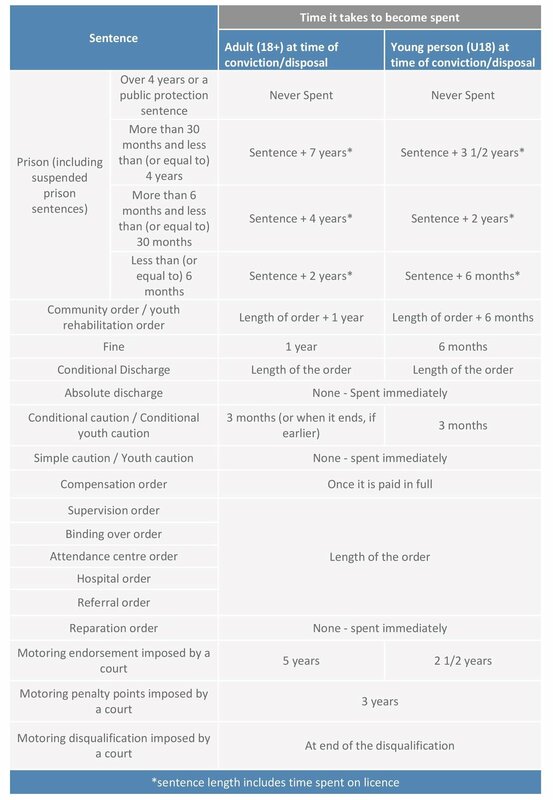 If you need to understand if a conviction has become spent, you can use the table below for any convictions. Newer PostCan I check my own or a family member’s ID? Older PostShould host families for exchange students be DBS checked?